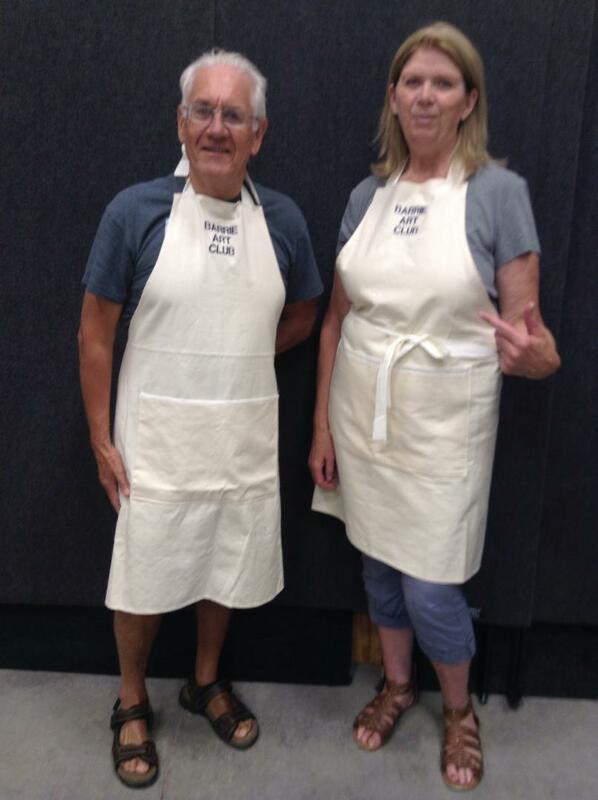 - Canvas apron, available with STANDARD tie (tie at back). - 'Barrie Art Club' embroidered on front in blue thread. - 'Your Name' will be added with order request; see colour options below. 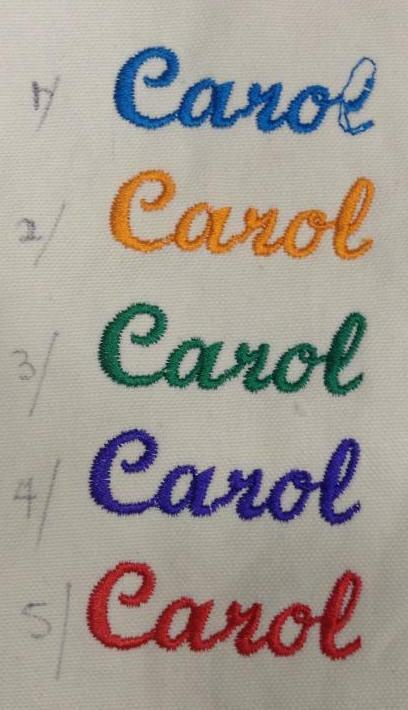 (Your 'FIRST NAME' ON INVOICE WILL BE USED FOR EMBROIDERY.) - PAYMENT REQUIRED WITH ORDER. Online = PayPal or Credit Card, OR take your invoice to the Barrie Art Club and pay with cash or cheque (made out to The Barrie Art Club). - Please ALLOW 7 - 10 DAYS FOR DELIVERY. You will be notified by telephone when ready. 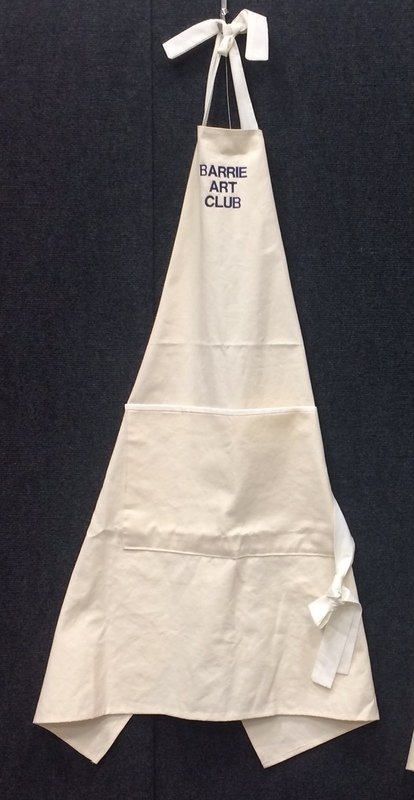 The apron will be at the club for pick up.